Pay only P 1,788 a Month for 12 months. Or pay only P 3,386 a Month for 6 months. A laptop isn't just a piece of electronicsâit's also an investment. 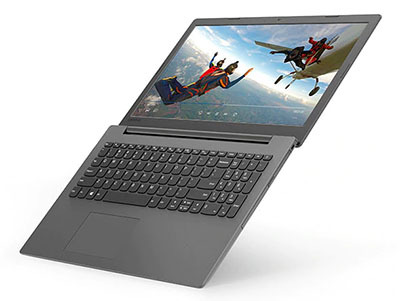 That's why we designed the Ideapad 130 15-in with a special protective finish to guard against wear and tear, as well as rubber detailing on the bottom to maximize ventilation and extend component life. With up to AMD A6 processing, up to 8 GB memory, and a range of storage options, youâll have the technology to support you well into the future. Windows 10 Home OS provides a familiar interface and helpful updates that keep your laptop secure. 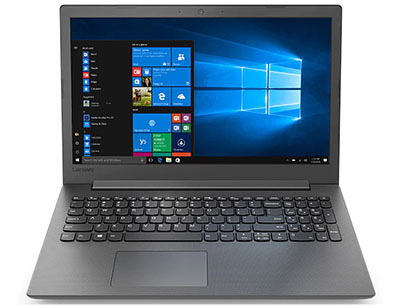 Enjoy your favorite videos on the Ideapad 130's 15.6-in high-definition display, or enjoy the latest tunes on speakers with sound optimized by Dolby Audio. As an added plus, watch and listen to the movies and music you know and love on the built-in DVD drive. We are committed to providing an uncluttered desktop and a safer PC experience out of the box. Our preload contains just six hand-selected applications designed to increase your productivity. 1) Lenovo App Explorer 2) Lenovo Companion 3.0 â driver update 3) Lenovo ID 4) Lenovo Settings 5) McAfee LiveSafe 30-day trial 6) Office 365 30-day trial.